With Kaitlyn flipping her vote to save Sam, then winning HOH, she is playing it off like she didn’t cast the vote. In the storage room, Fessy, Swaggy and Tyler are talking about the vote. 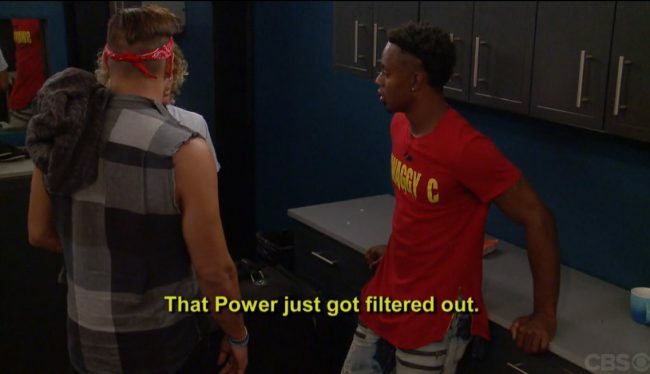 While Fessy and Swaggy believe there’s a rat in their alliance, Tyler tries to convince them that a power was used to save Sam. They aren’t buying it because Julie didn’t announce that a power was used. As they are meeting, Winston and Brett come in, with Winston making a stupid comment about their “cool meeting.” This sends Swaggy over the edge as Winston just walks away, and Swaggy pops off at him, asking if they aren’t allowed to talk to Tyler. Fessy and Swaggy continue questioning who in their alliance flipped and decide it must be Kaitlyn. 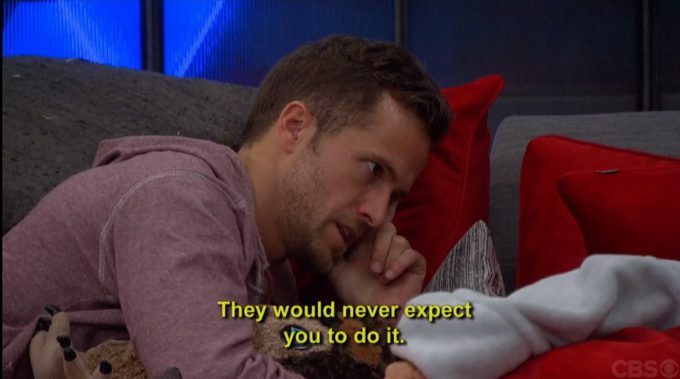 Now that she’s HOH, they can’t approach her about voting Steve out as neither of them are sure what she is going to do with HOH. Swaggy thinks he and Bayleigh will be targeted, while Fessy thinks he and Haleigh could be in danger. Tyler told Kaitlyn hours before eviction that she must vote Steve out or suffer consequences to her game. He explains that the Foutte alliance doesn’t trust her anymore and the people on the other side of the house do. On feeds, Tyler went further, telling Kaitlyn that Swaggy told him that he runs their alliance and makes the decisions. Not sure why this wasn’t included in the edited show; how could this possibly hurt the self-professed king running the house? In the bathroom, Kaitlyn tells Fessy, Haleigh and Rockstar that she’s not sure yet what she is doing this week. Haleigh asks if she is safe, and Kaitlyn says that specifically those 3 are safe this week. No mention of Baggy (Bayleigh + Swaggy). 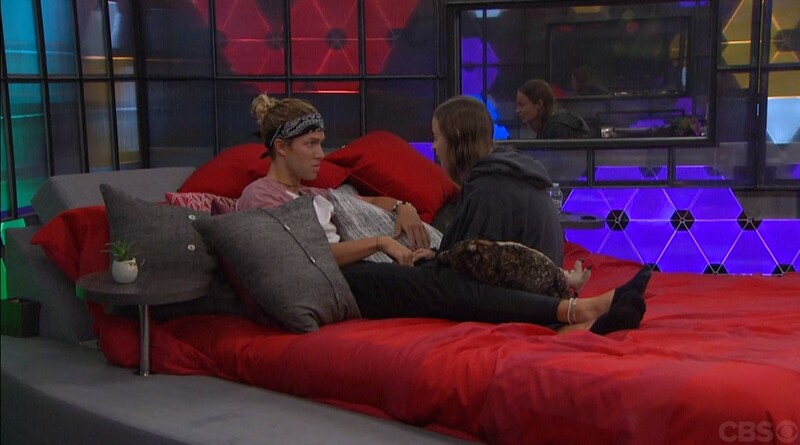 Speaking of Baggy, their relationship is heating up with the two sharing some QT and kisses on the hammock, stating that they can be a BB power couple. (On the feeds, things have gone much further than this cute banter and kisses would lead us to believe…#HOHShowerBanging.) Swaggy says that he’s the most fly dresser and Bayleigh is the most beautiful woman EVER to play BB. Swaggy says that their showmance name is Swayleigh. Nope. I named you Baggy first. DIBS! Kaitlyn enters her HOH room where Bayleigh, Rockstar, Haleigh and Fessy are waiting, and Bayleigh wants to know what we’re doing this week. Kaitlyn says that she needs to find out more about this power before making any decisions. They all quickly pressure her to nominate Winston, Angela or Rachel, emphasizing Winston. JC asks Rachel to shave his back for him. She’s never done it before and he gives her spotty instructions at best. Lots of ‘ouches’ follow. In DR, JC says that she’s not plowing a freaking field. The bros, Winston and Brett comment on her work and tell JC that his back is all scratched up. He knows; he can feel it. LOL. Tyler speaks with Kaitlyn about who to target this week. At first, she asks if she should put up Winston and Angela. He tells her no and must redirect her back to Swaggy to save his Level 6 alliance members. He says that it is probably best to backdoor him. Angela agrees that it’s their plan for the week. From this scene alone, Angela’s codependence is on full display. You should see her on the live feeds. 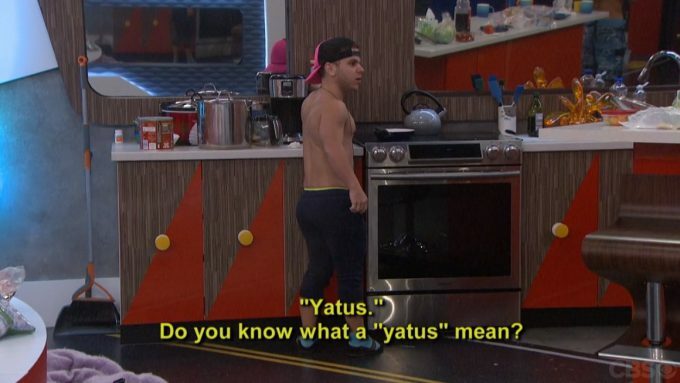 JC tells Tyler that they are in a “yatus.” Tyler has no idea what he is talking about. JC tells him that it is an advanced English word. In DR, Tyler says JC makes up words and will have you convinced that it’s a real word. Tyler figures out that the word that JC means is hiatus. Tyler, thanks for being our JC translator. Sam talks to Kaitlyn to thank her for keeping her in the house. Kaitlyn is sure to say that she was the deciding vote. Sam tells Kaitlyn that she got the power and can use it to save herself or a friend in the next few weeks. Kaitlyn says she can intuitively tell what Sam’s power is, and they shouldn’t use it this week. She shares with Sam that her plan is to put up 2 people, have the veto used and backdoor someone and claims that Sam is the only one she is telling. Cut to Kaitlyn telling Winston that she plans to backdoor Swaggy, but he has to go on the block. Winston is thrilled with the plan to get Swaggy out and doesn’t mind being a pawn to make it happen. When Scottie comes to talk to Kaitlyn, she lies to him about Winston being her target this week. She says that she wants to put Scottie up as a pawn next to him. Scottie is pissed in DR, not understanding why Kaitlyn wouldn’t put up 2 people from the other side. 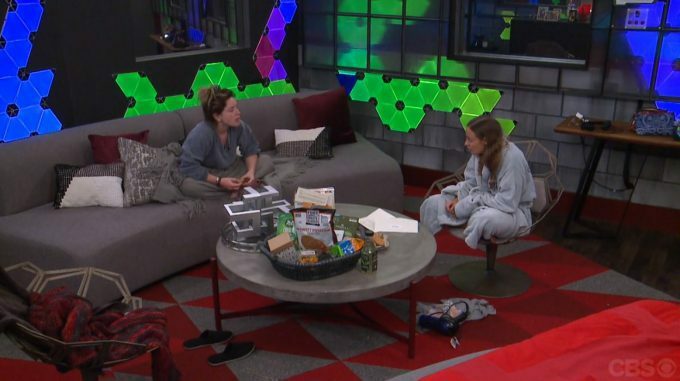 She tells Swaggy who she is nominating, and Winston is her target. Time for the BB App Store. The houseguests all enter to learn who is most and least trending. Rachel gets the Access Granted page, and at first in DR, she’s excited because she thinks America loves her. Then, she learns she’s least trending. 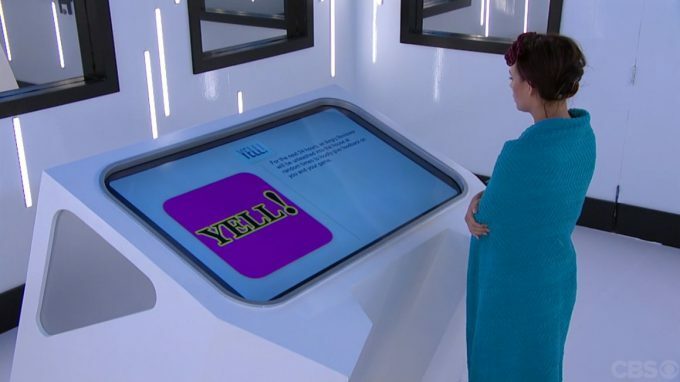 From the Crap Apps, she chooses Yell as her punishment, which involves an angry reviewer coming into the house during a 24-hour period and yelling at her about her game. The reviewer was blocked from feeds, so look forward to seeing her punishment on the show. Swaggy is frustrated that he isn’t trending because of his comp wins to keep 8 people safe, his showmance. He doesn’t understand what more America wants from him. Maybe stop referring to yourself in the 3rd person and that you run the house. Hopefully, BB will teach him to be humbler. 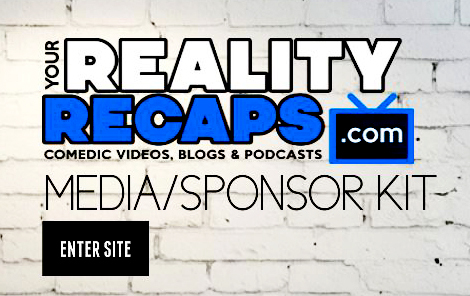 Tyler has become a force to be reckoned with in the house and viewers (and production) reward him with a Power App. 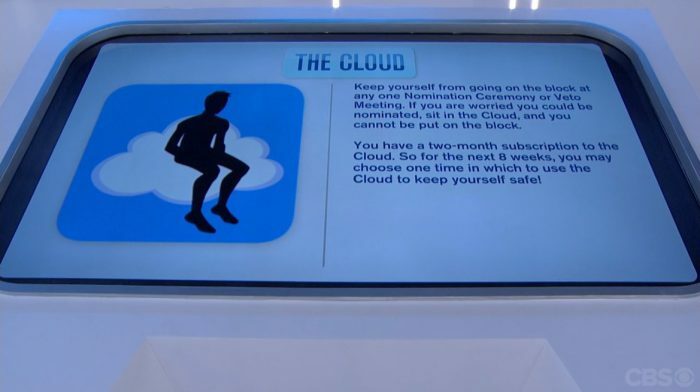 He chooses The Cloud as his reward. For 8 weeks, he can save himself from nominations or being backdoored by sitting in the cloud for 1 nomination or POV. There are questions as to whether he can use this after he is nominated or if he must use it because he has a feeling he might be nominated. 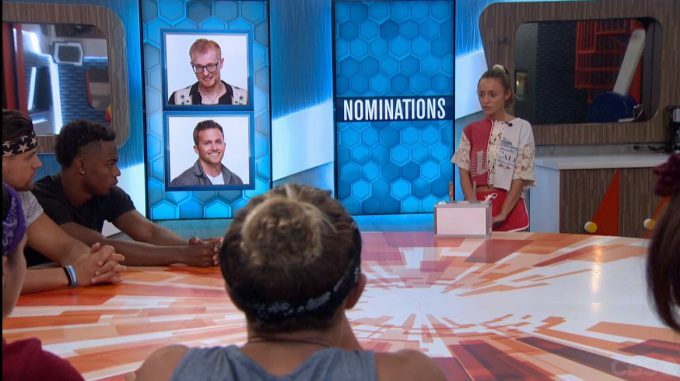 At the nomination ceremony, Kaitlyn follows through with her plan to nominate Scottie and Winston. She tells Scottie that he planned to use the veto on Steve last week which would have made her a potential re-nom. She thought it was selfish, but she loves him to death. Kaitlynn told Winston that he is playing an inauthentic game, so “you’re up on the block, bud.” Scottie says that Kaitlyn’s plan doesn’t make sense.